Most people agree that it’s important to recycle, but actually following through with it can be challenging sometimes. Here are some easy tips for recycling in 2019! Rather than trying to hurry up and separate your recycling on trash day, have everything readily sorted beforehand. Most recyclables are in the kitchen and bathroom. Why not reserve one of your lower kitchen cabinets for recycling containers? Have one for metal, one for plastic and one for paper if you are required to separate recyclables in your area. In the bathroom, you’ll probably only need one for paper and one for plastic, which you can hide in your sink cabinet. When it comes time to bring out your trash, your recyclables will be ready to go! Most of the recyclables you end up with at home come from supermarket packaging. If you make different choices when you buy things, you can cut down on how much packaging waste you bring home. Shop at farmers markets when you can, since their products mostly come without any packaging at all. When possible, buy in bulk to cut down on plastic wrapping or bottles. This especially works best when purchasing non-perishable items such as laundry detergent. At the checkout, ask for paper bags instead of plastic, or procure your own reusable shopping bag. Some studies have shown that bottled water has been revealed to be not much better than tap water. 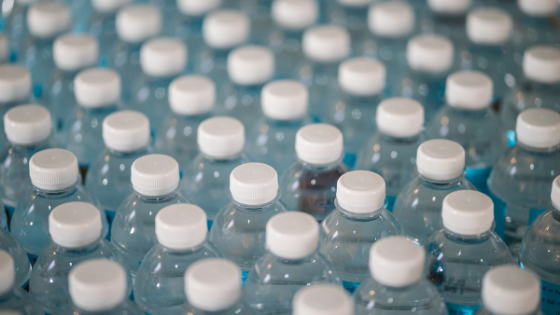 Whatever your philosophy is, plastic bottles take up a lot of natural resources to make and they often end up as waste in landfills, or worse, in the oceans. Instead, invest in a water filter pitcher and use it to refill reusable stainless steel or glass water bottles. Recycling doesn’t have to be hard when you implement these simple tips in 2019. You can turn those recycling goals into accomplishments without much effort at all. There’s a great deal of satisfaction in knowing that you’re doing your part to help the environment, too! For more information about Denver apartments, or to schedule a tour please contact us today!